Hyper Pigmentation is a particular condition of skin that causes the darkening of certain areas of skin. It is primarily caused by the overproduction of ‘melanin’ a skin pigment. This condition is quite common in both genders belonging to any of the ethnic group especially in the ethnicities with light complexions. Hyper pigmentation is usually a harmless condition but in some cases it may also be a symptom of illness or any disease. Most of the people are concerned about this condition because of its aesthetic implications which disturbs them and cause stress and anxiety. The concentrations of melanocytes, which are responsible for producing melanin within skin, become very high. Post Inflammatory Hyperpigmentation (PIH):The causes of this type of hyperpigmentation include injury to the skin due to burns, psoriasis, acne lesions, skin friction and sometimes even due to the application of some skin care treatments. Usually, this condition eliminates with the activation of skin regeneration system but can take many months. Hyperpigmentation treatment works quite effectively on PIH. UV Exposure/ Generalised Dullness of Skin:This type of hyperpigmentation is caused by normal UVB sun exposure however it’s not much noticeable in the spots form. It appears in the form of general skin dullness on the entire face. The skin tone of the face becomes dull and dark as compared to the other parts of body. Many women conceal this facial dullness by making use of concealers and facial foundations which helps to brighten up skin tone. Lentigines:This condition is also referred to as liver or age spots. With progressive ageing, these spots become more visible but ageing is not directly responsible for their appearance. These are caused primarily due to excessive exposure to UV rays. Melasma:Hormonal imbalance is usually responsible for this kind of hyperpigmentation. It is commonly caused due to thyroid dysfunction, hormone replacement therapy, pregnancy related melasma & hyperpigmentation. Intake of certain medications like antibiotics, hormone and anti-seizure medications. Inflammation of skin (as after treatments like laser hair removal). Broad Spectrum Sunscreen:The use of broad spectrum sunscreen like SPF 30 and above is highly recommended during sun exposure in order to prevent any further skin damage due to UV rays exposure. Hydroquinone & Kojic Acid: Both are very effective cosmeceutical skin lightener products. Hydroquinone is also referred to as the ‘Gold Standard’ for treating hyperpigmentation. For enhancing the results of this hyperpigmentation treatment, it can be used in combination with antioxidants, hydroxy acids retinoids. Kojic acid offers almost similar results to that of hydroquinone and even better when used in combination with hydroquonine and glycolic acid. Vitamin A products:these include Retinol and Tretinoin that helps in skin rejuvenation and resurfacing and also helps to increase the turnover of cells. Alpha Hydroxy Acids:these not only exfoliate skin but also smooth the skin and increase the cell turnover while giving even skin tone. For mild pigmentation, microdermabrasion prove to be an effective hyperpigmentation treatment. 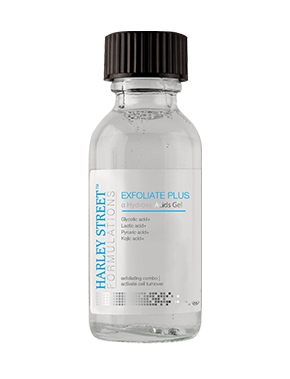 It improves the rough and sun damaged skin through skin exfoliation and lightens pigmentation. It also aids in diffusing the active care products in skin. 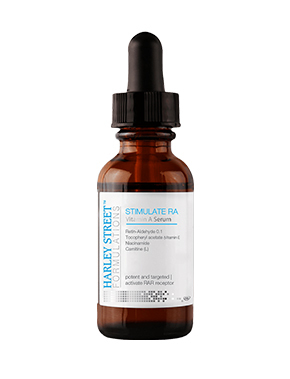 This hyperpigmentation proved to be highly effective when used in combination with chemical skin peel treatment. Skin peels for hyperpigmentation treatment give improved and enhanced results when other topical therapies are unable to provide desired results. Chemical skin peels have essential and natural skin care ingredients including Lactic, Salicylic and Glycolic Acid which helps in skin resurfacing and also increase cell turnover. This treatment may be used alongwith other topical therapies to achieve optimal results. Chemical skin peels are available in varying depths and strengths to suit different skin types. 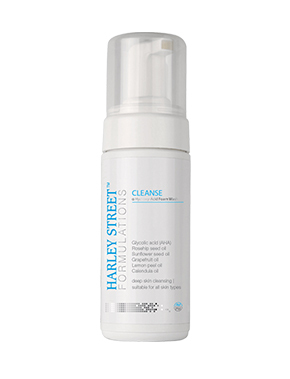 The unique Peel to Reveal by Harley Street Formulations offers a cocktail of powerful skin brighteners infused in TCA/Lactic/Salicyclic to provide intense skin rejuvenation and correction of hyper pigmentation. IPL (intense pulse laser) make use of the broad spectrum light contrary to the single wavelength lasers. It helps in clearing up the dark spots, age spots and hyperpigmentation caused by sun damage and ageing. IPL make use of the intense pulse light that usually needs 3-6 treatments sessions to clear the skin and give even skin tone. The treatment has no downtime. Dermaroller also referred to as micro-needling make use of a special dermaroller device which gently rejuvenates the skin and improve pigmentation. This hyperpigmentation treatment helps in reduction of pigmentation by increasing cell turnover while at the same time during treatment powerful anti-oxidants and skin brighteners are infused into the skin. All the above mentioned hyperpigmentation treatments have fewer side effects as they are custom tailored according to the skin type and severity of the skin condition of the patient. The common side effects associated with chemical skin peel, microdermabrasion and dermaroller and IPL for hyperpigmentation treatments include redness of skin, slight itching or discomfort. In professional hands at CosmeDocs, the side effects are minimal. Almost all of the hyperpigmentation treatments have none to very little downtime. Patients can instantly resume their daily and routine activities without any severe problem. Do These Hyperpigmentation Treatments Completely Cure Hyperpigmentation? No, you should have realistic expectations. These hyperpigmentation treatments do not completely eliminate hyperpigmentation however it will be significantly lightened and will almost become invisible. Which Hyperpigmentation Treatment Is Best For Me? The choice of the hyperpigmentation treatment depends largely on the types of skin and extent of skin condition. The doctor will conduct a complete examination of the skin in initial consultation and will recommend a hyperpigmentation treatment which will suit best to your condition and skin type. How Many Hyperpigmentation Treatments Do I Require To Have In Order To Improve My Skin Condition? This is largely determined by the severity of your hyperpigmentation. However, 40%-50% improvement is mostly observed after the first treatment session. 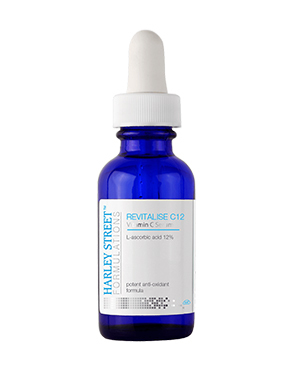 You can have significant reduction in hyperpigmentation after receiving 2-3 treatments. There Are Dark Spots On My Skin, Is It Hyperpigmentation? There is a possibility of hyperpigmentation. If you observe any darker area on your body as compared to rest of skin, it is most likely to be hyperpigmentation. What Measures Can I Take To Prevent Hyperpigmentation? You can take some preventive measures in your daily life. Whenever you go out wear SPF 30 or higher and avoid excessive sun exposure. By adopting a regular skin exfoliation regime you can remove the accumulation of dead skin cells which are contributing factor to hyperpigmentation. Avoid picking on your acne or skin that can develop dark spots. There are some medications which can cause skin discoloration, so its better to consult your doctor about it.